Home » Daily Post » Sant Jarnail Singh Ji Khalsa Bhindranwale » Sant Bhindranwale Blessing A Young Singh With Their Revolver. 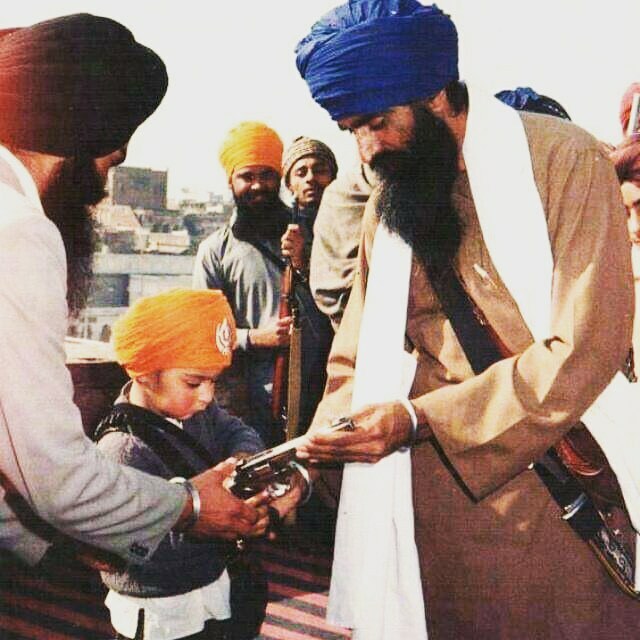 Sant Bhindranwale Blessing A Young Singh With Their Revolver. Those who say the pen is mightier are all cowards. Sant bhindranwale and his soorme singhs who carried on the khalistan movement had dushts on lockdown with Ak47s not parker pens. Jinda sukha fired lead into the chests of dushts not ink cartridges. ??? — at Sachkhand Shri Harmandir Sahib, Amritsar.